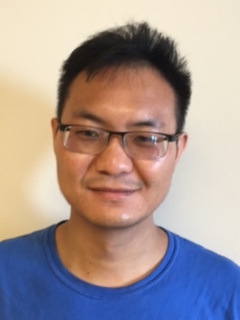 I’m Ju Sun, a Math+X postdoctoral scholar working with Professor Emmanuel Candes at Stanford University. Prior to this, I obtained my PhD degree from Electrical Engineering, Columbia University in 2016, working with Professor John Wright. Research Interests: foundations of machine learning, data sciences, and numerical optimization, with application to computer vision, signal/image processing, and computational imaging. See my [CV]. Talk at ISS seminar, SEAS, Harvard U. (Jun 15, 2017). Phase Retrieval: Theory, Application and Algorithms (HKUST-ICERM) at ICERM, Brown U. (Jun 5 - 18, 2017). SIAM Conference on Optimization at Vancouver, Bristish Columbia, Canada. (May 22 - 25, 2017). Representation Learning Workshop at Simons Institute for the Theory of Computing, UC Berkeley (Mar 27 -31, 2017). © Copyright 2019 Ju Sun. Powered by Jekyll with al-folio theme. Hosted by GitHub Pages. Photos from Unsplash.